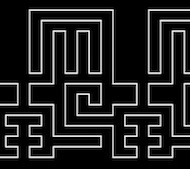 The "Algorithmic Lines" online (in original form, presented on the "Wacław Szpakowski (1883-1973) The Rhythmical lines" exhibition). The "Algorithmic Lines" is a tribute to Wacław Szpakowski - a pioneer of abstractionism and pre-conditional arts. 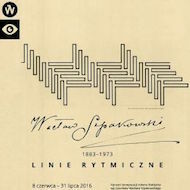 At the beginning of the twentieth century Szpakowski, developed impressive, highly intellectual artistic method, located between art and science, visual arts and music (Szpakowski was a violin player, and his visual works has been interpreted by some composers as a scores): his each drawing is just one continuous line (never intersecting and usually running from left to right), that creates stunning, quasi labyrinth-like, rhythmical form of visual and temporal character. 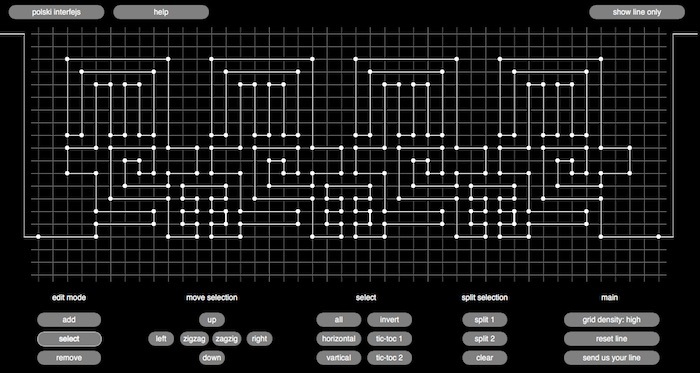 From a practical point of view "Algorithmic Lines" is a simple program nested on the webpage and allowing to create graphic patterns based on the rules derived by Szpakowski, originally developed for the exhibition "Wacław Szpakowski (1883-1973) The Rhythmical lines". While working on the piece I thought, that inside Szpakowski's concepts exists a potential to use them as a interesting tools for musical composition (or others time-based digital arts). 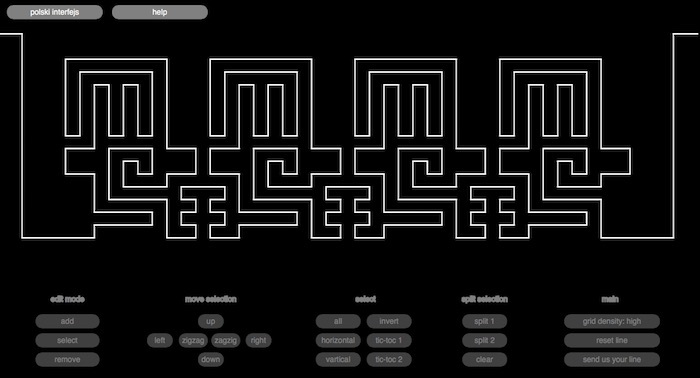 Therefore I added to the original code a simple mechanisms for communication with MaxMSP.